In his seventh book in The Swans Are Not Silent series, John Piper explores the lives of Charles Spurgeon, Hudson Taylor, and George Müller. Each of these men was known for extraordinary faith in God and untiring service to others. Each of them continues to motivate and inspire God’s people even today. 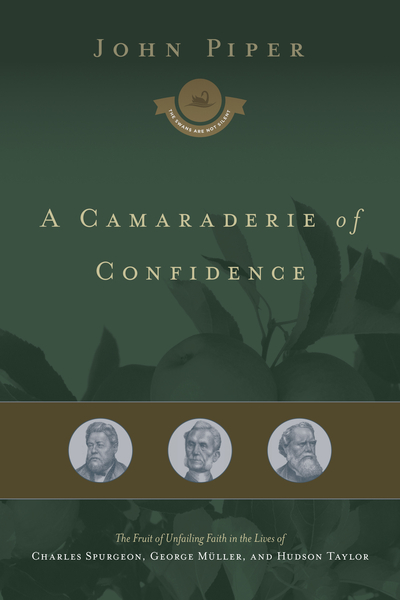 Rooted in their nineteenth-century British context, these three giants encouraged one another in their ministries—Spurgeon in the church, Müller in orphan care, and Taylor in world missions. Even through intense adversity, the lives of each of these men display their shared confidence in the power of God and their love for his glory and goodness. As you read these stories, may you be inspired to hold fast to the promises of God as you press on in commitment to Christ's mission. Part of the The Swans Are Not Silent series.